A quiet environment is soon going to be a luxury and out of reach of the common citizens. If you are born and brought up in metros or tier 1 cities then, it's a bliss for you to have a quiet ambiance, isn't it? Unfortunately, the unwanted noise can impact you even before you are born. Yes, in the womb, the scientists have found that the fetus responds to the noise. Isn't it the correct time to come out and speak about noise pollution? Is the damage already done? I am a soundproofing consultant and also, working in this domain from over a decade. I have seen and felt the negative effects of unwanted noise quite a few times and trust me, it has forced me to think about the innovative ways to mitigate the effect of noise. Whenever I interact with my prospect the first thing they want to know is the "Budget" needed for soundproofing a room. Though the obvious answer is it "Depends" still I used to suggest a budget bracket. According to my experience, most of the clients don't have that much budget. The next question that will be asked to me, Can you suggest us the cheapest way to soundproof a room? Initially, I ignored answering this question but soon it became the common question and I was forced to find an answer to it in case I want to stay in the business. As in any business, the important things are to generate leads, develop trust, solve the problem and then, finally do the up and cross-selling. So, my team did 3-month research that comprises of the online as well as offline channels. Initially, we jot down the list of cost-effective solutions and then we started removing the ones that we feel aren't value for money solution. Our team has put loads of hard work and I think my readers will be satisfied with the cheapest soundproofing ideas. In case you like our soundproofing ideas then I will request you to share it on the social media platforms and also, with your friends and extended families so that they can also get benefited. Today I will try to clear most of the misconception surrounding the soundproofing. Most of my clients think soundproofing a room as a much bigger task than it actually is. The best part is that in most of the cases it would be done very easily and it would also NOT require professional help. I hope the above statement will give a sense of relief to a large section of the American population who want their apartment to be soundproof. 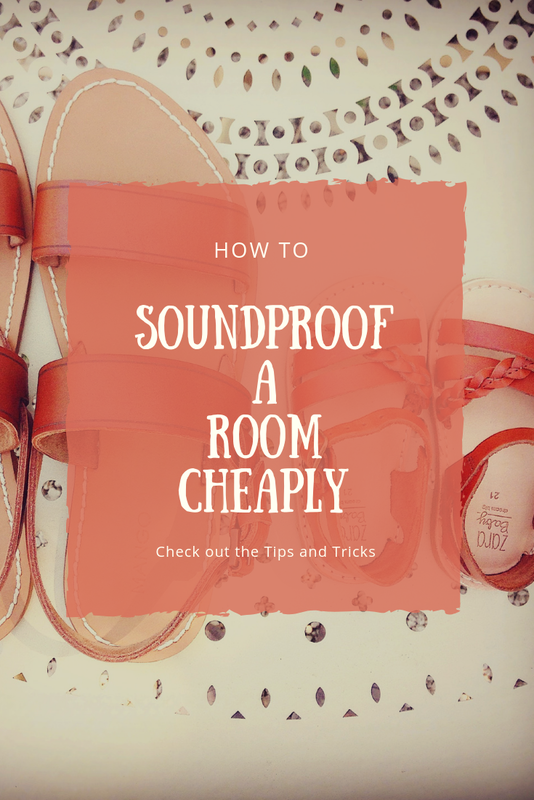 Yes, you need only a few hundred dollars to soundproof a room. I am saying this because I have helped hundreds of people to get rid of unwanted noises in a few hundred dollars. Again, you need to keep in mind that the cheapest soundproofing ideas can't be the best soundproofing ideas. Once you have a good budget then you can select from numerous alternatives available in the market. But the cheapest soundproofing ideas are limited and also have limited output. If your requirement isn't very specific, you can try these ideas, it cost you just hundreds of dollars. I will not deny with the fact that there are some soundproofing methods that require a lot of effort, time, and money but that is not the topic of our today's blog post. Lots of things have changed in the soundproofing industries. There isn't any doubt that when I started a decade ago, soundproofing was a costly affair but today things have changed and definitely for the good reason. I have seen a flux of new entrants ready to sell good quality of soundproofing curtains, blankets, white noise fans, white noise machines etc at a budget price. For the manufactures, the margins may have reduced but the number of sells has increased significantly. Nowadays, it has become a number game similar to the fast moving consumer goods(FMCG). If you are a creative guy then, you can easily develop a soundproofing solution for your apartment after having a piece of basic knowledge about "What is soundproofing?". If you are relying heavily on the cheap methods then, the first thing that you need to figure out is what problem you are gonna solve? The answer to this question will decide the solution you need to select. If you are gonna apply all the methods and processes that we are gonna discuss in this post then, your solution will not be the cheapest one. So, you will need to ask a few questions to yourself. Is the outside noise a problem for my room? Am I getting disturbed of echoes, reverbs, and vibrations? Is the home appliances noise the reason of the problem? Should I look for the soundproofing solution for echoes as well as external noises? The more you will ask the questions with yourself the better you be at finding the solutions. Before we dive deep into the possible solutions, allow me to throw some light on the soundproofing basics and also, the expectation we should have from the mentioned solutions. It's always good to face the reality and prepare for the worst situation, isn't it? Soundproofing aka "Sound Insulation" is a process used to negate the ill-effects of unwanted noise by using soundproofing materials, techniques, and instruments. Moving further, a soundproofing surface is meant to prevent the unwanted noise from entering the premises. When an airborne noise gets in contact with a hard surface either it crosses the surface or reflects back. 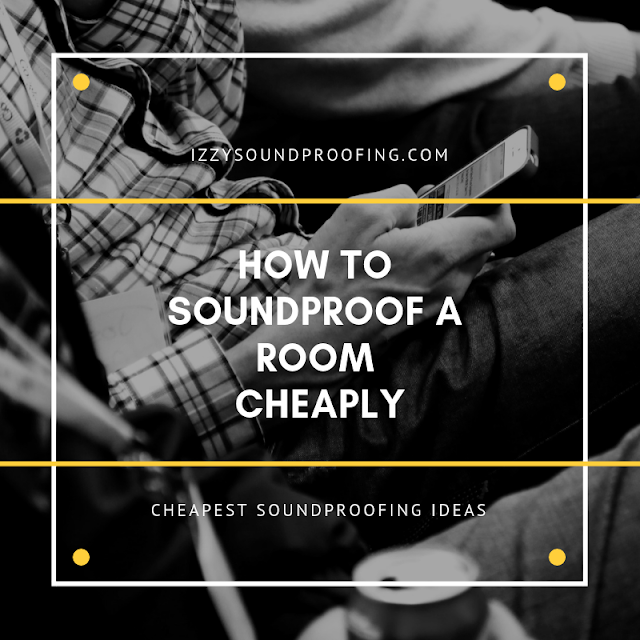 The success of soundproofing a room cheaply lies in the fact that how efficiently you figure out the problem and also, how cleverly you implemented the solution. Needless to say, at times, you will have to apply a solution that comprises of soundproofing as well as acoustical treatment. Until you don't know the difference it will not be possible for you to narrow down to a cheap yet effective solution. The effectiveness of a soundproofing object depends upon various acoustic features such as size, structure, density, and thickness. All these features have their own importance and in case of considering a feasible solution, you can't ignore any of these elements. Most of the professional studios, office buildings rely on the scientifically innovated building structure and costly soundproofing devices to get rid of unwanted noise. Fortunately, these aren't the only solutions. As long as you are thorough with the soundproofing basics, you can cleverly implement a cost-effective solution with the minimum cost involved. Obviously, you will have to be a bit innovative and tricky. What to Expect from Cheap DIY Solutions? Soundproofing a room DIY way is not the solution for very specific and professional requirements. Definitely, your expectation shouldn't be a 100% noise suppression rate. The solution will help you to improve your living condition by minimizing the impact of the outside as well as inside noise. If implemented cleverly, it will also help you to minimize echoes, reverbs, and vibrations. 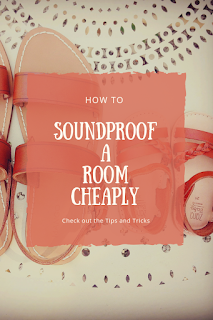 So, a large portion of the population who are looking for a soundproofing solution to improve their quality of life by negating the unwanted noise can definitely try the cheap DIY ways. I will suggest you cheap soundproofing materials that aren't costly and are easily available online. By using these products in a correct way, you can significantly improve the ambiance of your home. The correct way to do soundproofing is to close all the holes and gaps that allow the air to go outside from your room and vice-versa. Door and windows are perhaps the most important things to be soundproof. These provide the entrance and exit to the sound, light etc. It's advisable to start with the soundproofing of doors and windows. If done correctly, you will find a tangible difference in the noise level. Most of my clients think ceiling and floor are the biggest part of the room and so, should be given priority. But that isn't the correct approach. I am sharing a secret with you and that will be of great help to you. The floor and ceiling are made of concrete, bricks, cement, and other solid components and only a narrow range of the low-frequencies are capable of passing through the solid surfaces. Using the bass traps for the low-frequency can easily serve the purpose. Most of the airborne noise created by your music system, television, home appliance etc will get reflected from these hard surfaces and create problems such as echoes, reverbs etc. By putting the sound absorbing materials in the corner of a room can minimize the echoes and reverbs. The main problem that anyone faces is the entrant of the traffic noise, horns, dogs barking etc into your home at any time and, the worst part is that you don't have any control on these noises. So, by soundproofing your doors and windows, you will restrict the noise from entering your room and vice-versa. Already we have discussed before that sound needs a medium to travel and if we restrict the medium then, we can prevent the sound from reaching our room. So, air is the medium in our case and, we can restrict air from going outside of our room by closing all the holes and gaps. For the best results, you will have to close the tiniest of the hole. Your success depends on how efficiently you closed the holes that aren't visible to our naked eyes. The logic is very simple if the air will go outside your room so, will the sound wave. So, your competencies and innovativeness will be well check and discussed in the first step itself. Can you guess the best way to block the holes? Let's discuss these soundproofing materials in details. Weatherstripping Tape: I suggest weatherstripping tape to my clients for filling those little holes. It is a cost-effective method and you don't need any professional help. You can easily get 10m of weatherstrips under $10 and if your room is a mid-size room then, the 10m length is more than enough to fill all the holes. Entry of unwanted noise can be restricted to a great extent. So, you will have to spend a maximum of 10 dollars on soundproofing your door and windows. In case, you think 10 dollar is more than your budget then, allow me to throw some light on caulking that will cost you a maximum of $6, a 40 percent decrease in the cost. Caulking: There is a lot of similarities between caulking and weatherstripping tape. It may take more time as compared to weatherstripping but it is almost 40 percent cheaper. There are many costly version of the caulking but I will suggest you, use this one. It will serve the purpose. The major difference between caulking and weatherstrip is that the caulking is permanent but the weatherstrip is temporary. The caulking can be defined as a process of creating an additional layer of mass that can effectively block the airborne noise from passing through. Depending upon your requirement, you can add the amount of caulking. Remember to pay attention to the functionality of your doors and windows. To make things simple for you, we are adding a video tutorial. Remember to give your feedback in the comment section about the video tutorial. Soundproof Curtains: Well, soundproof curtains can be used on the window and door to prevent the outside noise from entering the room. There is a different variant of soundproof curtains. I will suggest you, please try this curtain as it will come under $15 and at the same time, it will negate the noise to great extent. Soundproof curtains if selected wisely can be a great asset for your room. Not only it will serve the purpose of noise dampening but also will be a great aesthetic addition. They have a layer of soundproofing materials that can absorb unwanted noise and prevent problems such as echoes, reverbs etc. Soundproof Acoustic Blankets: If you are facing problem hanging the soundproof curtains on your doors and windows then, allow me to introduce you the acoustic soundproof moving blankets. They are very cost-effective and you can buy them for a few dollars. They will serve multiple purposes. You can even use them in shifting house to safeguard your furniture and home appliances. Similar to the soundproof curtains, these blankets can be used for the noise dampening purposes. If you are a creative person and wants to add some colors to your room then you can attach some real eye-catching painting, pictures or even drawing to it. I have personally used this blanket and hope it will match up to your expectation also. Floor: The floor of a room covers a lot of areas and neglecting its importance in soundproofing a room can only create havoc. All your efforts will go into vain. In most of the soundproofing projects that I have been able to successfully execute, the floors were the point of concern and I had to walk an extra mile to convince my clients that they need to spend money for floor carpet and other related accessories. Most of the people have a misconception that floor is a solid object so, it will not produce a lot of noise. Sometimes my clients were reluctant to believe my words that sound can also travel through the solid objects. I need to mention that low-frequency sound waves such as BASS can easily travel through the solid objects and to get rid of it, you need to place acoustic bass traps. The sound created by the objects falling on the floor or the sound of the footstep is an example of noise. Well, we have discussed enough of the problems and it's time now to throw some light on the cost-effective solutions. Carpet: It is one of the best solutions against the floor noise that I can suggest you. I believe the carpet shouldn't be only considered to make your room prettier and the floor warmer. It is a sound absorbing material. I don't think that it will bother you if you are able to achieve noiseless environment by spending just $30. You can find various carpets in this range. I use this soundproof carpet but it's a bit costly and you can try it if you have a budget of $50 and above. The acoustic structure plays a crucial role in absorbing the sound when a falling object or a shoe comes in contact with the carpet. Well, we aren't finished yet. You will find a drastic dip in the echoes and reverbs because the carpet can absorb the sound waves and prevent it from bouncing back of the floor. Acoustic Insulation Pads: It has happened so many times to me that my clients weren't satisfied with the performance of the carpet and they were ready to spend a few more bucks to get a little more peace. So, if that is your case and you are ready to spend at least 20 more dollars then, I can suggest you an acoustic insulation pad. By placing this pad beneath the carpet, you can enhance the performance of the carpet. Yes, it's possible to improve the carpet soundproofing performance by using some additional soundproofing objects. Another way to improve the soundproofing property of the carpet is by doubling the thickness of the carpet. It can be done by placing a carpet on the previous one. Again I would like to remind you that the carpet or the insulation pad will only absorb the airborne noise or the sound waves reflected from the hard surface of the room such as wall but it has nothing to do with the outside noise and by no means it can control those noise. Ceiling: The ceiling is the one that needs to be perfectly soundproof against the low-frequencies noises. I have written a detailed article on the sound movement and I will request you to read it before we move further. I have seen people getting panic when I have asked them to soundproof the ceiling. There are really some good ways to soundproof the ceiling but they are expensive and as per the title of our post, we have to only discuss the economical and budget-friendly solutions. The trick that I am gonna share now will not guarantee the perfect soundproofing solution. However, this method will absorb the noise that has entered into the room from outside and therefore will make your room a bit quieter. Our intention is to make the quality of the sound inside the room better. Acoustic Foam Panels: These panels are made of soft sponge-like materials that are good at absorbing the noise. If you are ready to spend 25 to 30 dollars then you can try these foam panels. In the last few years, the acoustic foam panel has really taken off. The reason is quite simple. This product fills the gap of good dampening product at a budget-friendly price. It is also user-friendly. If you bother a lot about the look and feel of your room then you shouldn't try this product. If you love a RAW look then it should be your top priority. They come in different colors and there is a high probability that you will find one, of your choice. Soundproof Green Glues: The acoustic foam panels are self-adhesive but I will suggest you, add a layer of security since it will be hanging above your head. The Green Glue is a perfect material for this kind of work. There are two benefits of using it. 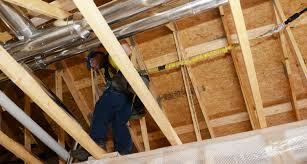 It will attach the foam panel firmly to the ceiling and also, it will work as an insulator. You can buy one for yourself under $20 but the better deal could be a pack of 6 tubes under $80. Walls: The walls are definitely the pillars of the room and soundproofing the walls aren't an easy task. A small mistake can make all your efforts zero. So, you will have to take precaution while soundproofing the walls. There are really innovative and expensive ways to soundproof the walls but today we will ONLY discuss the cheapest yet, effective ways. Furniture Arrangements: We have already discussed in the floor section that hard surfaces bounce the sound waves back leading to the echoes and reverbs. So, it is highly recommended to cover all the hard surfaces of the room. A smart way to soundproof the walls is to arrange the furniture in a tactical way. You can cover a good portion of the walls using furniture. By doing so, you will prevent the sound from bouncing too and forth between the walls and as a result, you will find a drastic reduction in the echoes. I will also suggest you, cover the walls from paintings and canvases. It will not only add beauty to the room but also, it will help in soundproofing the room. If you have bookshelves in the room then you should place them in such a way that the maximum surface area of the walls is covered. Acoustic Foam Panels and Soundproof Green Glue: You can use both of these soundproofing materials together for the optimum output. Already we have discussed the same in the ceiling section where we have highlighted the importance of Green Glue and how it can add an additional layer of security. Since the foam panel soaks dust so, you should always remember to vacuum them on a regular basis. Green Glue helps the acoustic foam to hang on the wall by providing the required amount of adhesive. Air: Don't get confused. By air, we mean the airborne noises that can be troublesome at times. The common reason for these noises are the household appliances and unfortunately, we are so used to these noises that it doesn't bother us until someone highlights the issue. Whether it's a washing machine, hairdryer, dishwasher and so on, each produce a good amount of unwanted noise and when you will sum up the entire sources of unwanted noise, you can visualize the noise these appliances generate every day and the worst part is that these noises go unnoticed leaving our kids, pets, grandparents in stress and anxiety. Anti-vibration Pads: Some of the household items can create uncomfortable buzz on the regular basis and the worst part it is that it is not noticed and no precaution is taken to prevent its occurrence. Whether it's your fridge, washing machine or dishwasher, each one is bound to produce unwanted noise because they are in contact with floors or walls which are hard surfaces. Already we have discussed the impact that a carpet can create when it comes to preventing the sounds from bouncing back. You have to simply put the carpets underneath these household appliances to get the optimum result. A pack of anti-vibration pads contains 4 pieces and you get it under $15. After the pads are placed under the machines you will see the tangible difference in the buzzing and humming tone of these machines. The environment will be much quieter because these machines will absorb unwanted noise. White Noise Machines: You can use a white noise machine or white noise fan to prevent the noise from reaching you. These machines can also be used to improve productivity, sleep, and concentration. These machines produce a white noise which is similar to white light. White light consists of colors of different wavelengths and this can be proved by performing a simple experiment. If you will pass white light through a prism then the white light will be split into lights of different colors and you can see the same in a rainbow. Similarly, white noise comprises all the frequencies between 20Hz and 20,000 Hz and as a result, it can help you in masking any unwanted noise. I hope my team effort would be of great help to my readers. We have done lots of research before selecting the cheap soundproofing ideas. If you are using some other ways to soundproof your room cheaply then share with us. We will be delighted to share it with our readers. I am sure that this article will inspire you to soundproof your room. Again, the success of all these techniques totally depends upon your circumstances and also, your expectation. I will suggest you to first experiment with a few techniques before implementing it to all your rooms and apartments. Last but not least, the more you will experiment the better will be the result.